Communities in Dorset, South Wiltshire, Somerset and the Thames Valley have been urged to remain vigilant for continued flooding from groundwater and rivers. The Environment Agency said flooding will continue along the River Thames over the coming days, with a potential flooding around the Chertsey Lakes. It said groundwater levels remain very high in many places, including West Dorset, Cranborne Chase and Salisbury Plain. River levels also remain high in parts of Hampshire, West Berkshire, Surrey, West Sussex, Wiltshire and along the River Severn in Worcester and Gloucestershire. Environment Agency flood risk manager, Katharine Evans, said: “Teams continue to work to work around the clock, maintaining flood defences, clearing watercourses and deploying pumps and temporary defences to protect communities at risk. Communities along the River Thames in Surrey should remain prepared for further flooding, the head of flood incident management for the Environment Agency has warned, as more rain is expected to fall over the next few days. 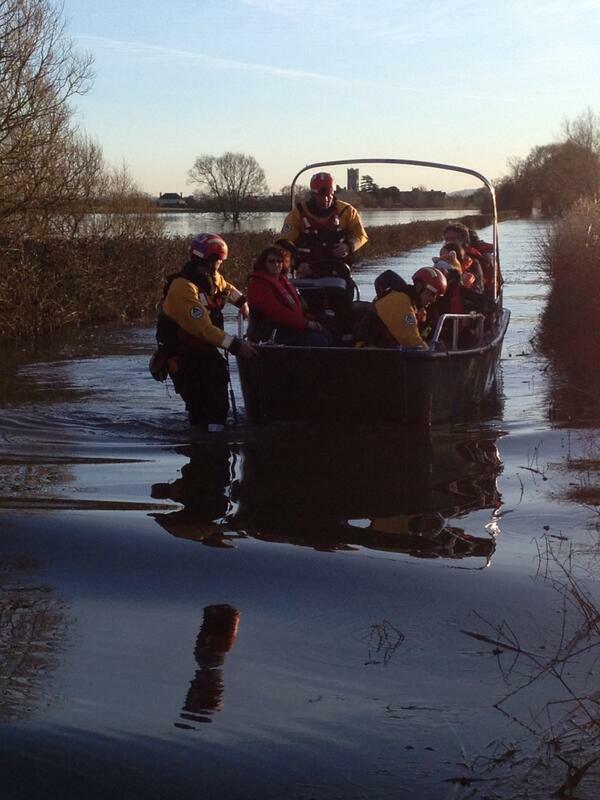 Craig Woolhouse said: "The River Thames is continuing to respond to the recent rainfall. "River levels will remain high for the next few days and we urge people keep up to date with the latest flood warnings and take action. "With so much standing water around, we would also remind people to stay out of flood water and not attempt to walk or drive through it." The Environment Agency has said residents living along the lower reaches of the River Thames in Surrey should remain prepared for further flooding as water levels continue to rise. The Thames is expected to stop rising today, but it may be some days before the levels are back to normal, it said. There is also an ongoing risk of flooding from the Rivers Parret in Somerset and the Severn in the Midlands. High groundwater levels mean we are likely to see continued flooding in areas such as the Somerset levels and moors, Dorset and Wiltshire. Further heavy rain today is expected to bring more misery to areas that have already seen widespread flooding. Nearly 80 flood warnings remain in place throughout the country while there are more than 115 flood alerts, although none deemed severe - which would carry a danger to life. River levels have been rising steadily in counties including Wiltshire, Hampshire, Dorset, Somerset and across the Midlands following days of downpours, the Environment Agency (EA) said. Rivers including the Hampshire Avon through Wiltshire, Hampshire and Dorset, the Stour in Dorset, the Parrett in Somerset and the Severn through the Midlands showed little signs of receding. A Rottweiler dog has been rescued from mud at Langstone Harbour by the Hayling Island and Portsmouth Coastguard Rescue Teams. The eight-year-old dog, Buddy, had become stuck up to his chest in mud whilst enjoying an afternoon stroll with his owner. "If you’re out walking with your dog near cliffs or areas that you suspect might be dangerous, it’s advisable to keep your dog on a lead. The Environment Agency said those living along the lower reaches of the Thames in Surrey should remain prepared for further flooding this weekend as water levels continue to rise. It said in a statement: "There is also an ongoing risk of flooding from the Rivers Parret in Somerset and the Severn in the Midlands. High groundwater levels mean we are likely to see continued flooding in areas such as the Somerset levels and moors, Dorset and Wiltshire." But it said that water levels on the Thames between Lechlade, Gloucestershire, and Reading in Berkshire were beginning to slowly recede - while between Reading and Maidenhead they were stabilising. The most recent estimates suggest that more than 700 properties have been flooded since the start of the year, but more than 239,000 properties have been protected by flood defences.